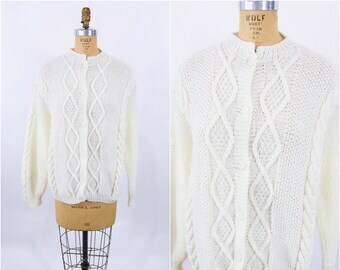 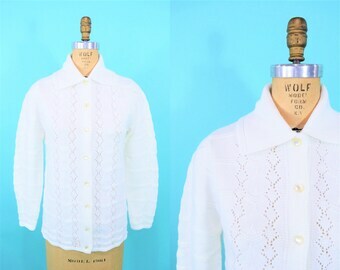 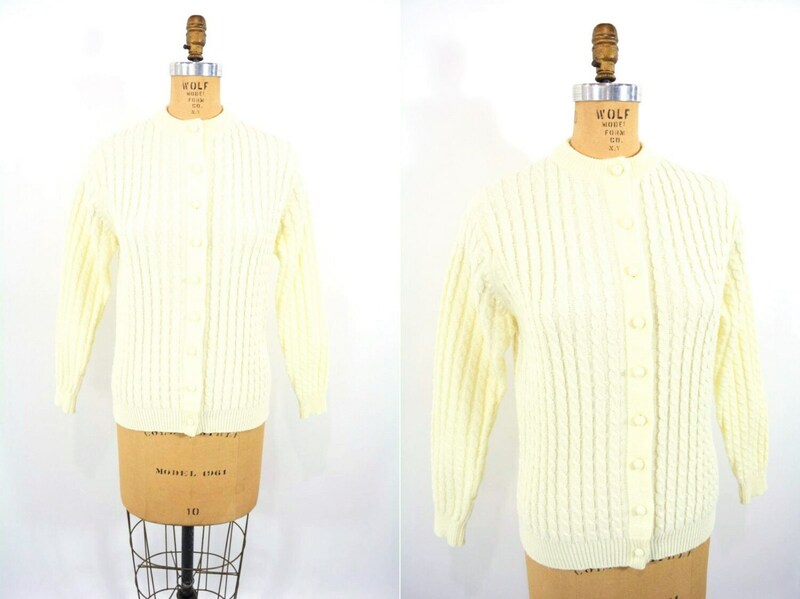 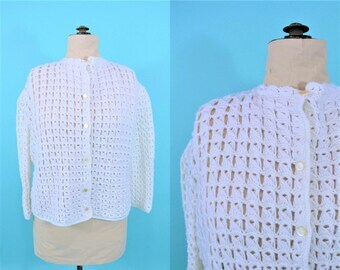 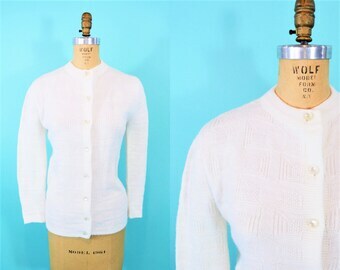 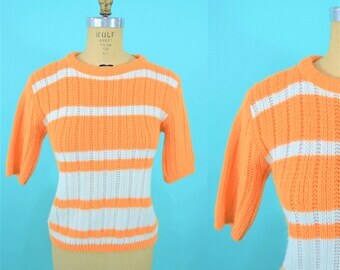 Throw this classic, cream, cable knit sweater from the 1960s over your favorite sleeveless dresses, buttoned all up for a skirt and top look or open! 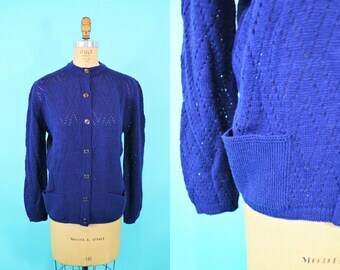 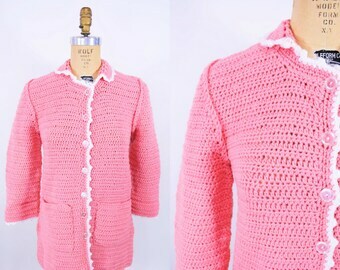 Cardigan has sweater buttons down the center. 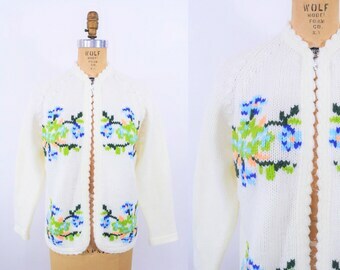 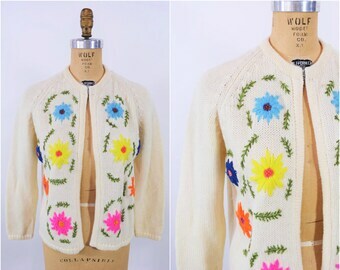 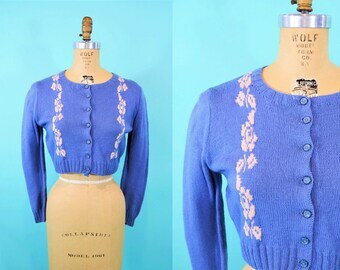 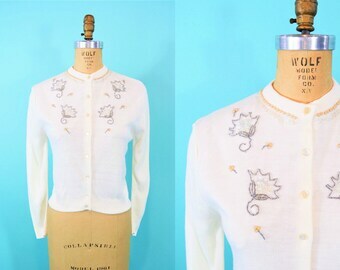 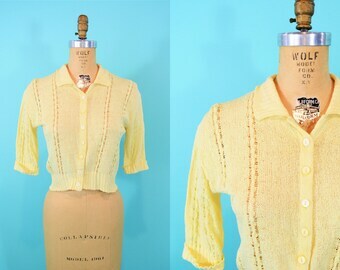 1950s knit cardigan | yellow pointelle button down knit vintage sweater | W 27"
1950s crop cardigan | vintage blue metallic floral button down sweater | W 28"
1960s beaded cardigan | cream sequin silver gold button down sweater | vintage 60s cardi | W 30"